This article is adapted from a post on the ABTS blog on July 26, 2018. As I commented in my earlier post, the priesthood of all believers became one of the important tenets of the Protestant Reformation. This was widely understood as all individuals having equal and direct access to God without the need for ecclesiastical mediation. This understanding has caused many issues throughout the history of the church, and it was used to evade and undermine ecclesiastical authority. The problem with this understanding, or misunderstanding, is that the role of priesthood in the New Testament was given to the community and not to individuals (example 1 Peter 2:9, Revelation 1:6). This is supposed to be a key element of the corporate identity of the people of God, of the Church. No wonder that this misunderstanding has led to the subtle move in practice from the priesthood of all believers to making a distinction between the general priesthood and the special priesthood to the inevitable priesthood of the ordained. I believe, as Martin Luther repeatedly suggested, that the priesthood of all believers means that we are all priests, while priesthood is a corporate identity. 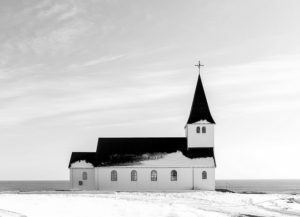 I am convinced that the New Testament did not intend to create the clergy-laity divide that we find in our churches today, and Luther’s intention was to bring the Church back from its two-tier tradition. This by no means implies that there are no leadership roles in the church or that ecclesiastical authority can be compromised. Rather, it means that every believer in the community is a full-time minister of the Gospel, set apart for ministry. Some are set apart for church-based ministry as leaders, equippers, and coaches. The rest are set apart for marketplace-based and workplace-based ministry in the world taking the Gospel to where the people are. 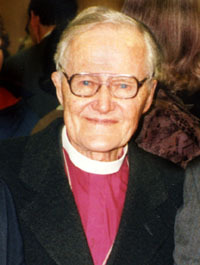 Bishop Lesslie Newbigin was a twentieth-century British theologian, missiologist, and author. He served most of his career as a missionary to India. He left a Christendom Britain to become a missionary in India, and then came back years later to a Britain that needed to be evangelized. (Christendom refers to the time when Christianity was the assumed religion of the West.) His writings* show how his theology of the Church developed from Christendom ecclesiology to missionary ecclesiology. This was due to his experience as a missionary, to his deep involvement within the ecumenical movement, and to his call for a missionary encounter with Western culture. Newbigin’s missionary ecclesiology became the precursor to what is more widely known today as missional ecclesiology. * For a good read on Newbigin’s ecclesiology, refer to this soon-to-be-published volume: Goheen, M.W. and N.T. Wright. The Church and Its Vocation: Lesslie Newbigin’s Missionary Ecclesiology. Baker Publishing Group, 2018. Born and raised in Lebanon, Elie Haddad immigrated to Canada towards the end of the civil war in Lebanon in 1990. He worked for 15 years in Toronto as in the area of Information Systems and Management consulting. During his work, Elie enrolled in a Masters of Theological Studies (MTS) program at Tyndale Seminary in Toronto alongside his involvement with the Middle East Baptist Church in Mississauga where he served as a member of the pastoral team. In 2005, Elie and his wife Mireille felt called to return to Lebanon, where—as a missionary with Canadian Baptist Ministries (CBM)—Elie joined the Arab Baptist Theological Seminary (ABTS) serving as Provost until 2008 when he became President.